Personalized Top Tie Fender Cover 10.5'' x 30''. Personalize your boat fender covers with an embroidered design, boat name or clip art logo! Our boat fender covers are made from a UV resistant, non-marking material that is incredibly durable yet soft enough to leave the hull of your boat looking as good as the day you bought it. Fits Taylormade, Polyform, and Dock Edge Bumpers. Boat protection will lead to many good years on the water! We use only the finest threads for our embroidery so you can be sure your boats name will be represented well for a long time to come. These boat fender covers are easy to use, easy to clean and easily the best choice for fender covers on the market. Perfect for any boat warming gift! Made for 100% recycled materials in the USA. Fits Taylor Made, Polyform and Dock Edge fenders only. Primarily used on vertical hanging fenders. Dimensions listed refer to the diameter and overall length. Enclosed at one end and open on the other with a Velcro seem running the length to ensure a snug fit. Optional end cap for bottom, creating full enclosure also available. *Please note that the measurements given are that of the fender that the cover will fit. The measurements of the fender may vary from that listed to ensure a proper fit. 8 Different Clip Art Designs to Choose from. Personalized Life Ring - 20 inch - Most Popular Size! Customized with your Boat Name, Port Name, and lettering color choice. The 20'' version is the most popular choice. Personalized Life Ring Plaque. 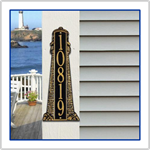 Whitehall plaques are made of recycled, rust-free, cast aluminum, and finished with durable, weather-resistant finishes. Life ring design with two lines of text. 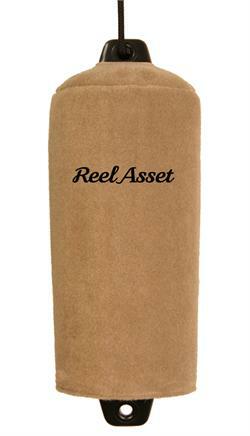 Popular Medium sized custom embroidered boat mat. Mat is 24 inches wide by 17 inches tall. Can be personalized with your choice of font, color and/or personal message. Boat mats are made durable marine grade carpet that's mold, corrosion and UV resistant.